Sarita Devi is working as an Assistant Professor in Vikrant Group of Institutions, Gwalior. She is M.Phil and Masters in English Literature from Himachal Pradesh University. She has done her B. Ed. from Himachal Pradesh University. She has published over eleven research papers in various reputed National and International Journals and presented papers in National Seminars and Conferences. She attended two workshops related to “Modern Approaches to English Language Teaching”. She is a practitioner in theory of Ecocriticism. She has more than 14 years of teaching experience in various organizations. She is teaching English to UG and PG students. She is an active member of all academic and cultural activities. He is also working as soft skill trainer. 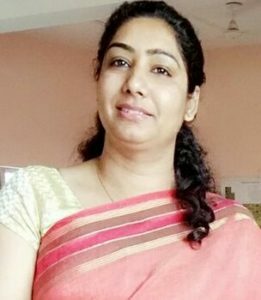 She has been appointed as the first Coordinator of FSLE-India for its Madhya Pradesh- West Region.